AG Rosenblum Files Comments with Federal Trade Commission Highlighting State AGs Role in Consumer Protection. In June, the FTC announced the agency will hold a series of public hearings, “on whether broad-based changes in the economy, evolving business practices, new technologies, or international developments might require adjustments to competition and consumer protection enforcement law, enforcement priorities, and policy.” The FTC asked interested parties to submit comments by August 20, 2018. “The FTC plays a pivotal role in the development and enforcement of regulations that protect consumers. For example, almost everything we do today has a digital footprint, and the FTC is relied upon to help ensure we have strong systems in place to protect our personal information and data. Similarly, State Attorneys General are in the forefront of consumer protection and are particularly adept at spotting emerging scams and business trends. So, it is crucial that State AGs viewpoints and expertise are considered as the FTC contemplates changing enforcement priorities and implementing new policies affecting consumers,” said Attorney General Rosenblum. 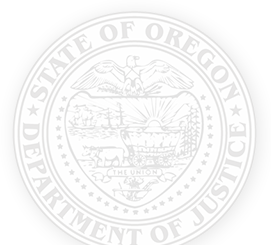 The comments filed today were led by Oregon Attorney General Ellen Rosenblum, and also joined by the Attorneys General of Arizona, Arkansas, California, Connecticut, Delaware, Florida, Hawaii, Illinois, Iowa, Kentucky, Louisiana, Maine, Maryland, Massachusetts, Minnesota, Mississippi, Nebraska, New Mexico, New Jersey, New York, North Carolina, Pennsylvania, Rhode Island, Tennessee, Virginia, Vermont, Washington, and Washington, D.C. The Oregon Attorney General has one of the most robust consumer education and prevention programs in the country and is especially focused on elder abuse, consumer privacy, and emerging scams. If you would like consumer protection education and prevention materials, or if you think you have fallen victim to a fraud or scam, contact the Oregon Department of Justice online at www.OregonConsumer.gov or call our hotline at 1-877-877-9392.